Over summer we had a few friends visiting and we knew we wanted to get a proper summer holiday booked for while they were here. 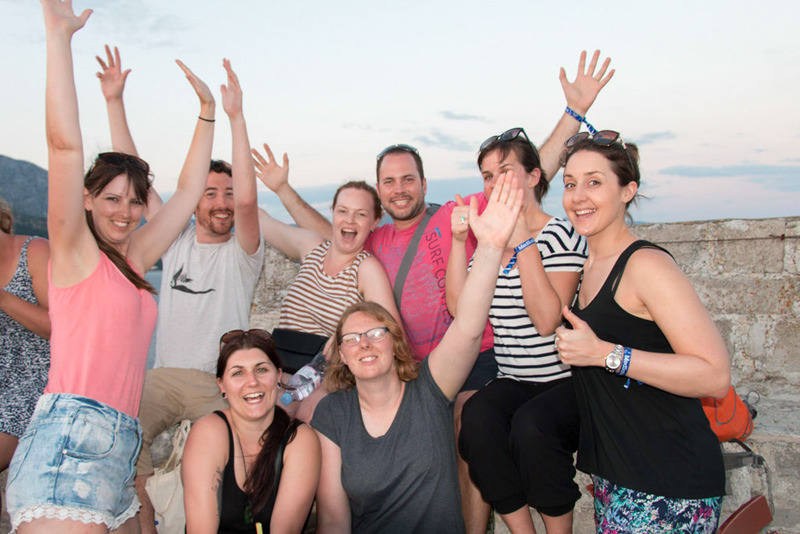 We had two objectives really, lots of sun and something easy to organise for a group. 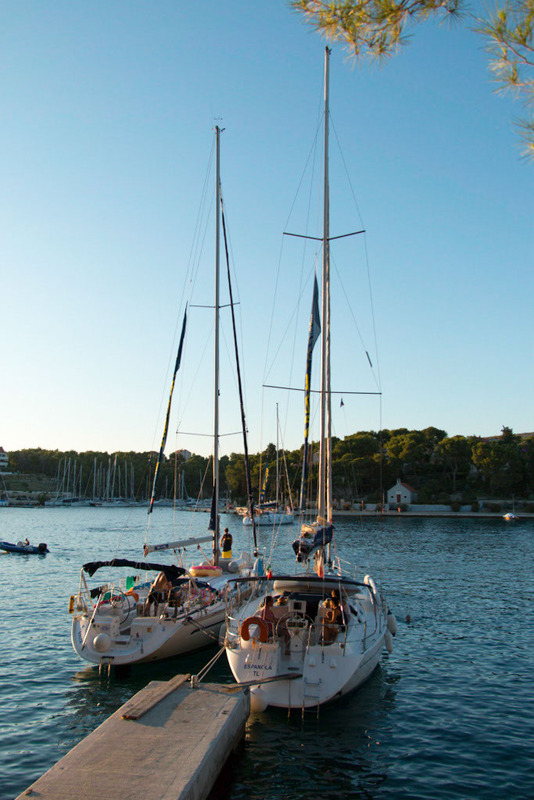 A couple of friends had been on sailing trips around Croatia in previous years and couldn’t recommend it enough. So it sounded like just the thing for us. 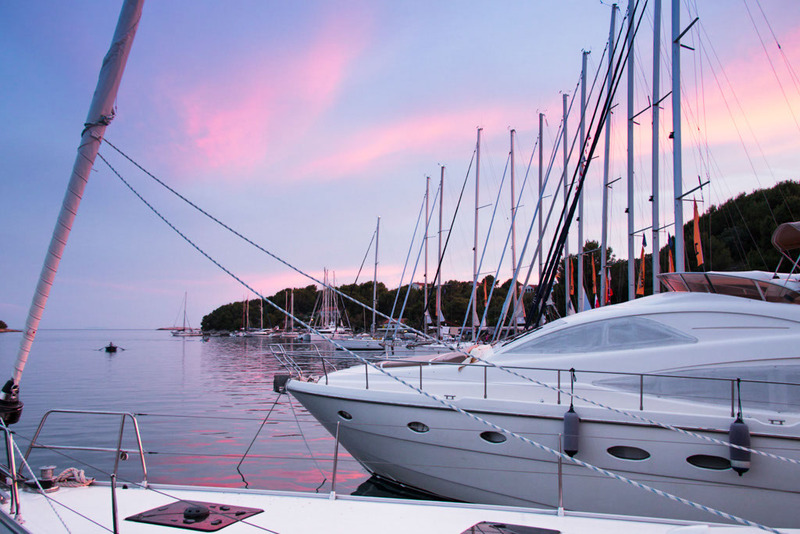 You really never hear a bad word about Croatia, I’m not going to add any here either. This holiday completely exceeded my expectations. Every day was wow! 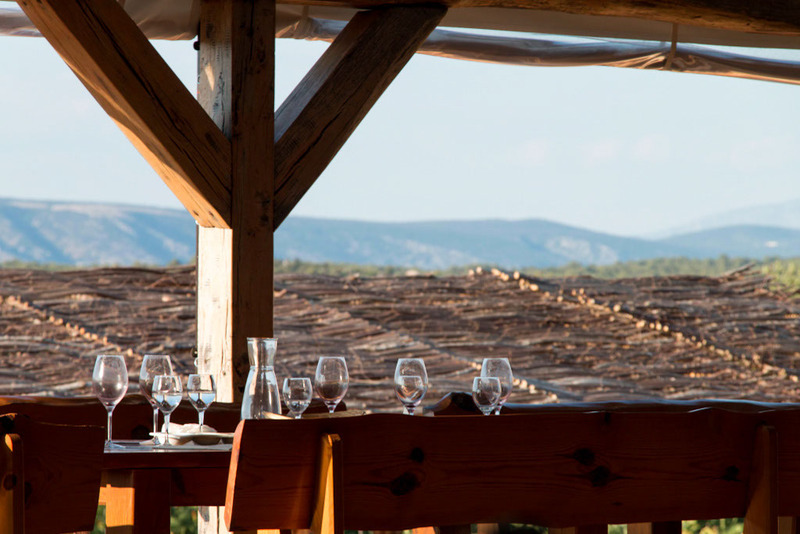 Sunshine, beautiful villages, friendly people and an abundance of seafood to enjoy. I think I had sea bass for dinner all but one night we were there. I got totally hooked and as soon as I saw it on a menu, I just couldn’t look past it. Oh, and did I mention the ocean was so warm it was like swimming in bath water? I’ve never experienced anything like it. I could have stayed in all day if it weren’t for the enticing lunches on board prepared by our skipper or the thought of reaching our next island destination. Here is our trip in photos. We collected blue skies, blue seas and sunset after gorgeous sunset. 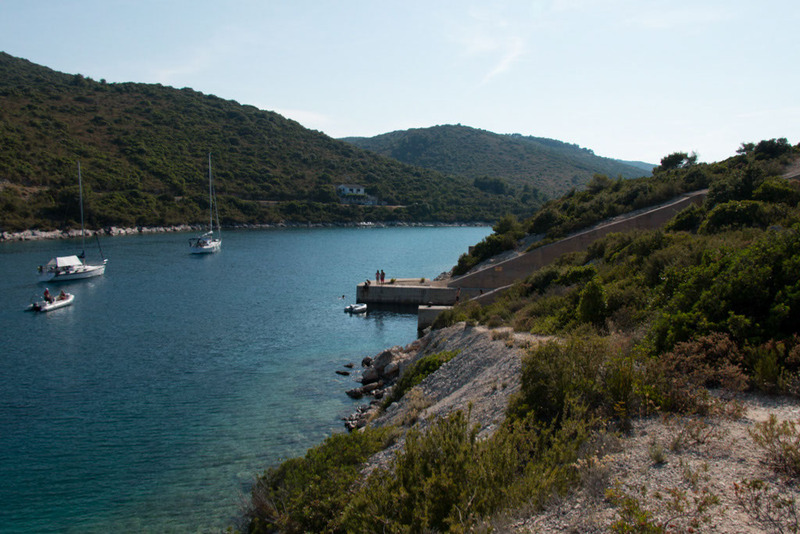 Our holiday was booked through MedSailors on the Discovery route which starts and ends in Split and takes you to a different island mooring every night. Your on board skipper and the support crew take care of everything. All we had to think about was when we wanted to fit in our next swim stop. Our boats slept eight people plus the skipper, in pretty cosy rooms below deck. Although it was pretty tight, it was surprising how much could actually fit down there. It was like being in a Scandinavian apartment. Every compartment and little piece of space was used meaningfully and thoughtfully. 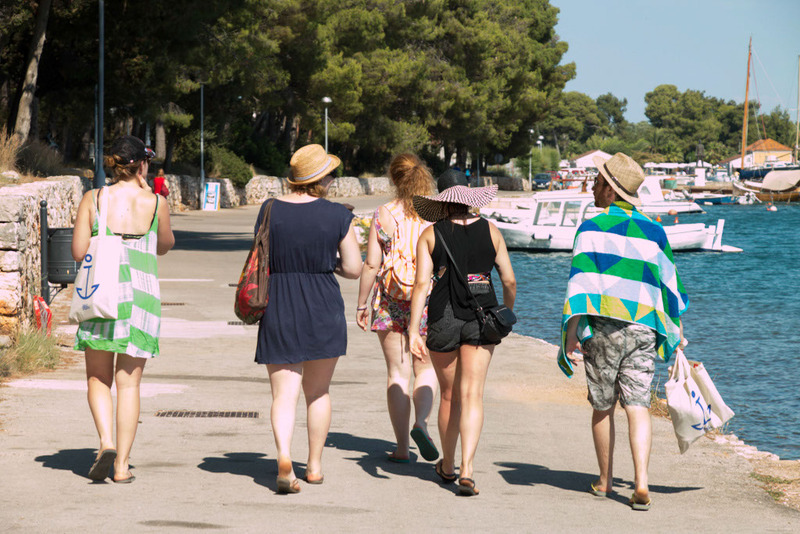 Here is us wandering Stari Grad before a bus ride took us to a winery at the top of the island for wine tasting and delicious Croatian food. The sunset over the vineyard was one of the best we saw. 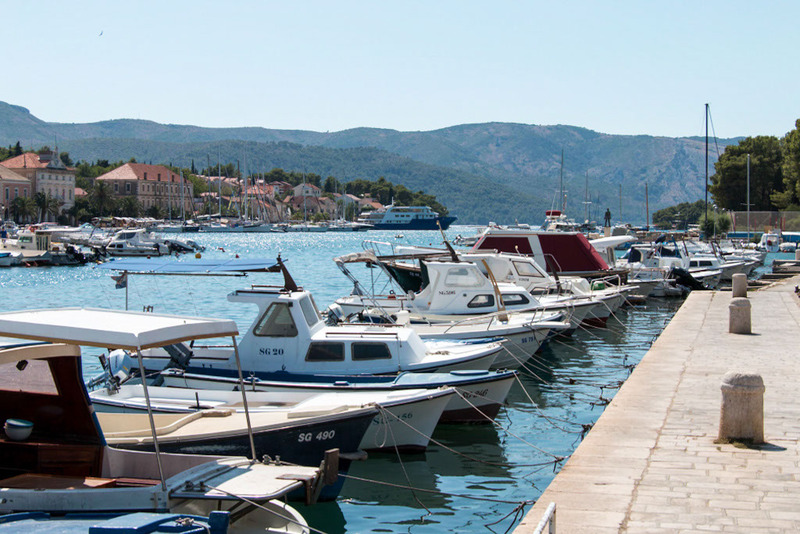 Some nights we would moor up on forlorn little jetties that led to sleepy village towns, other nights we would be docked at bustling marinas like the one below in Hvar town. Look how clear that water is! 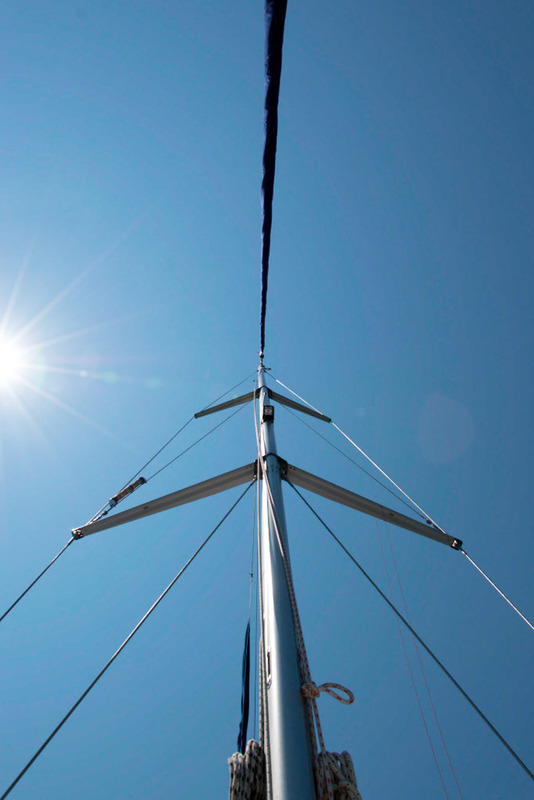 We spent our days swimming, paddle boarding and lounging in the sun on the boat decks. 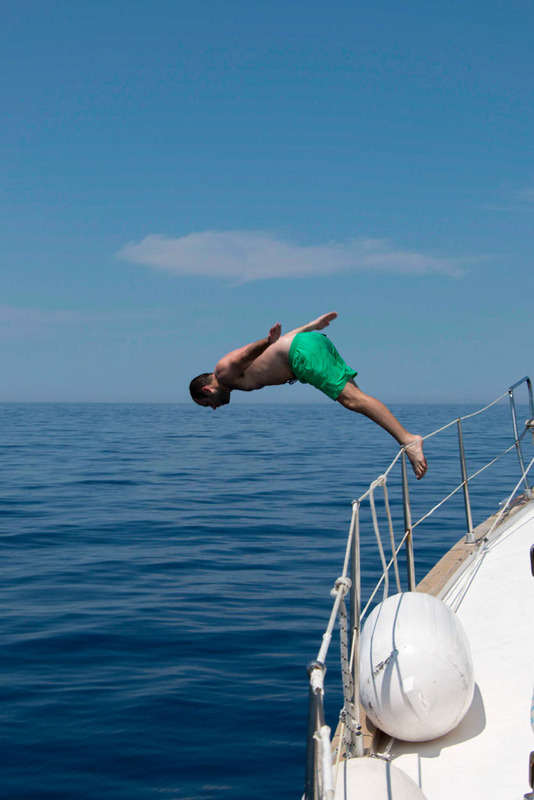 When it got too hot to read on board, I decided my best option was to tether my floaty to the boat and bob around all afternoon immersed in a book. I was reading the seventh installment of The Shardlake Series, not your average summer holiday read, it’s a historical crime series set in Tudor England, but it was long enough to keep me entertained for the whole holiday. 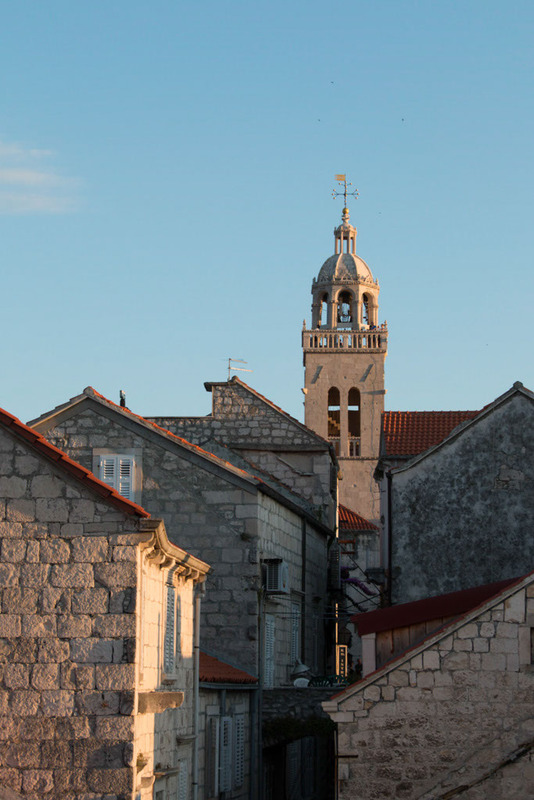 We spent our nights exploring quaint little island towns like Korcula Old Town. Here we had cocktails on the rooftop of a tower built over the sea. We managed to be up there at sunset as our tour guide recommended and it was one of the best tips of the trip. Group shot! 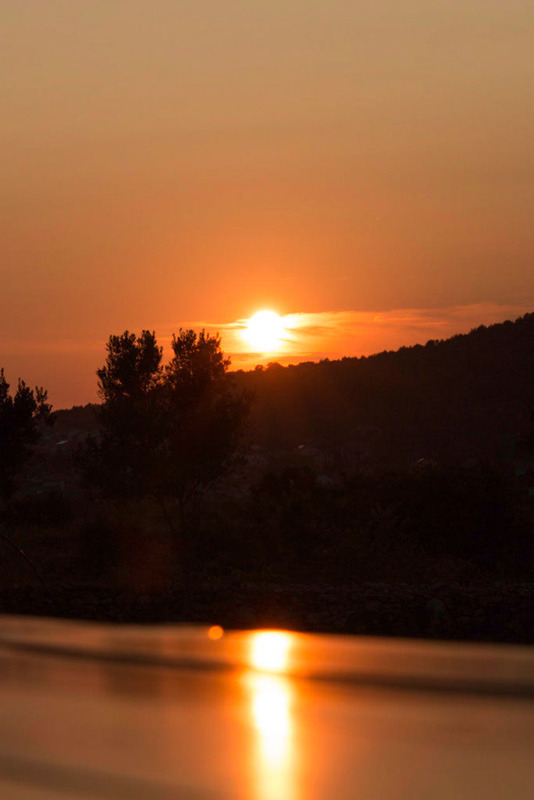 Sunset from Korcula Town. We ventured into an abandoned submarine bay in the ex-military base island, Vis. 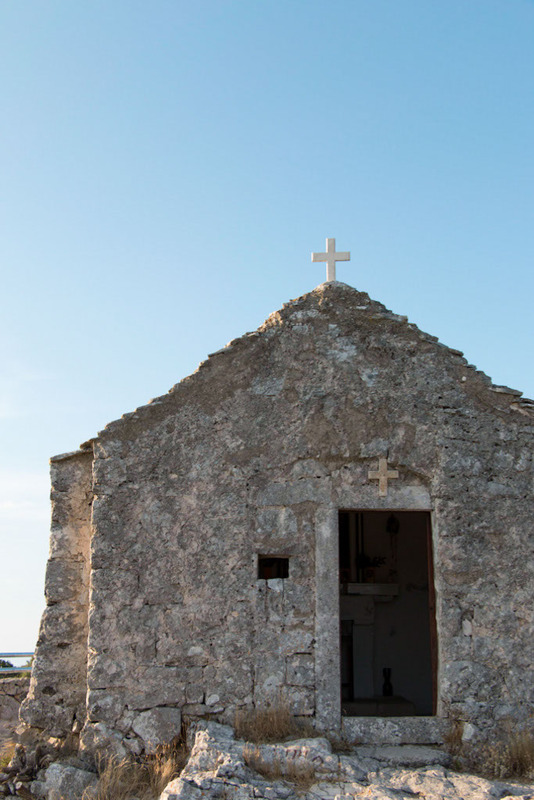 We learned a bit about the history of the island which was only opened to tourists again in 1989 after years of serving as a military base for the Yugoslav National Army. 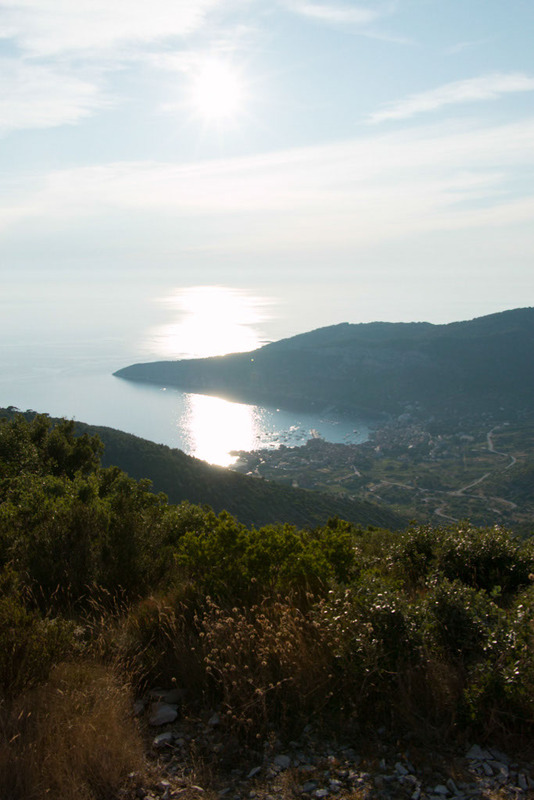 We caught another sunset overlooking Vis town and explored more of the island with our tour guide. Most of the island was so rugged we were shipped around in the back of a Jeep and it was not a smooth ride. Boat Life. We hung our togs out in the breeze over night and for the most part abandoned our showering and cleansing routines in favour beach hair and sun tan. Sunset over Sesula Bay on our last stop of the tour. The one restaurant on the bay was so busy with boat loads of tourists anchored there for the night we didn’t eat until after 10pm. We were starving by this time but my last sea bass meal of the tour didn’t disappoint. 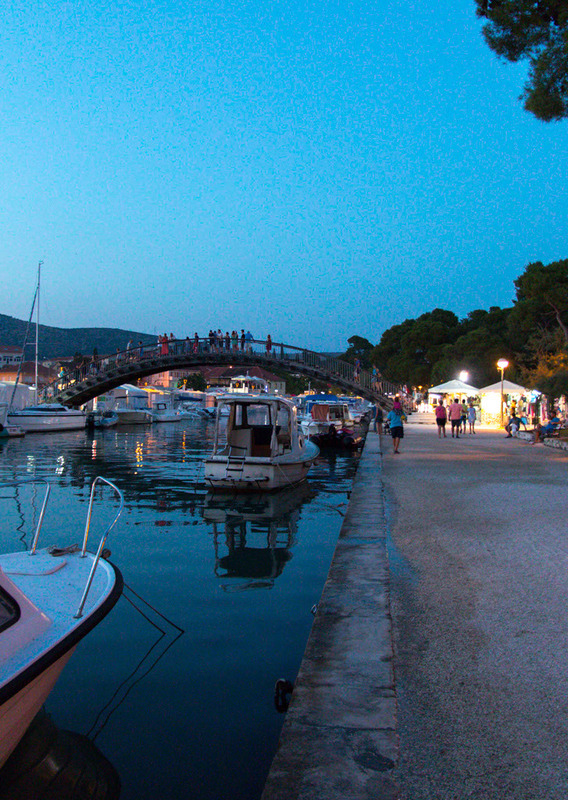 Walking to the night markets in Trogir Town on our last night in Croatia. 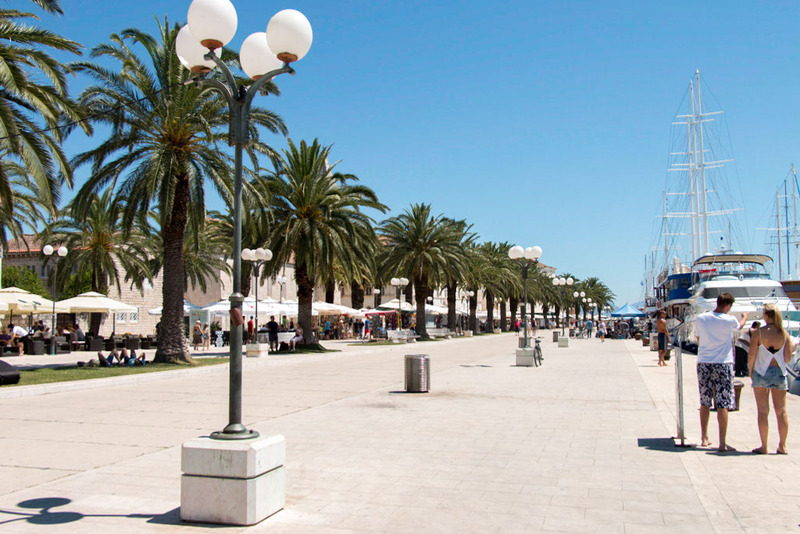 Here we spent our last Croatian Kuna on fresh juices and souvenirs to take home. I hope you enjoyed our pictures. Going through them all and editing them recently my over-riding thought has been, I want to do it all again..
Take me back, seriously.. Take me back. 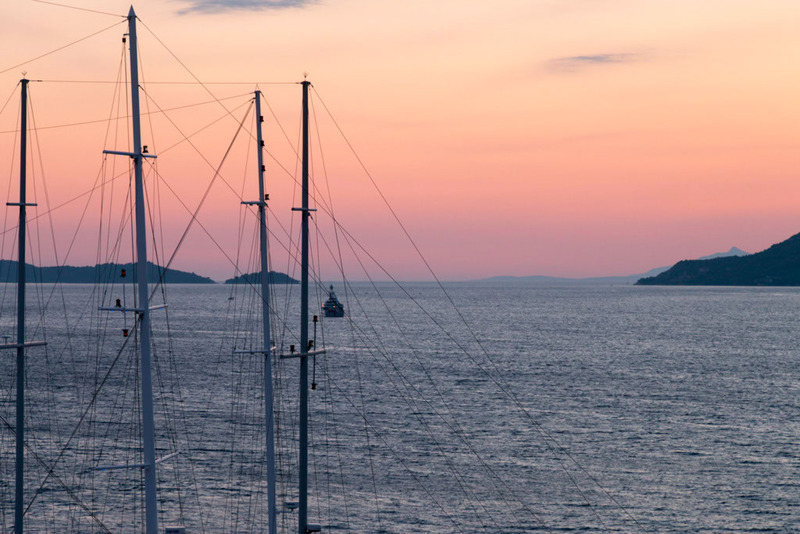 This entry was posted in Travel and tagged Croatia, Croatian island hopping, Medsailors Croatia, sail Croatia by andieinspired. Bookmark the permalink. 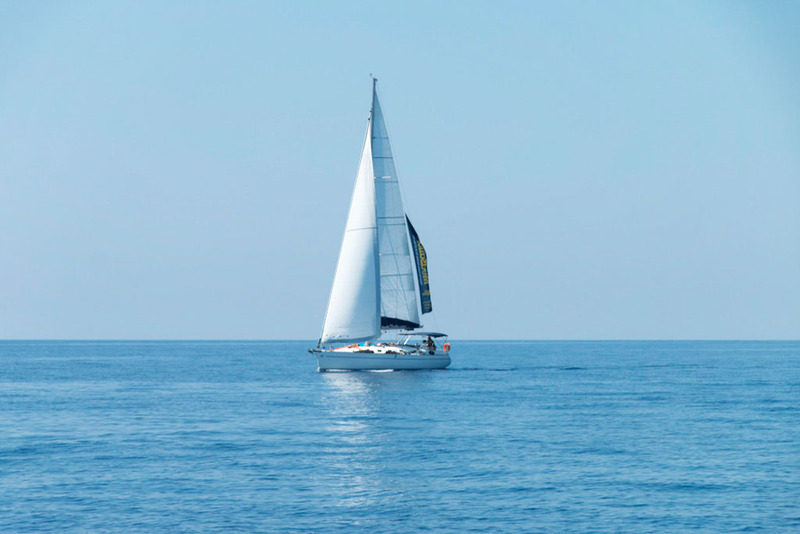 Another awesome post Andie – Reminds me of our trip with Medsailors! 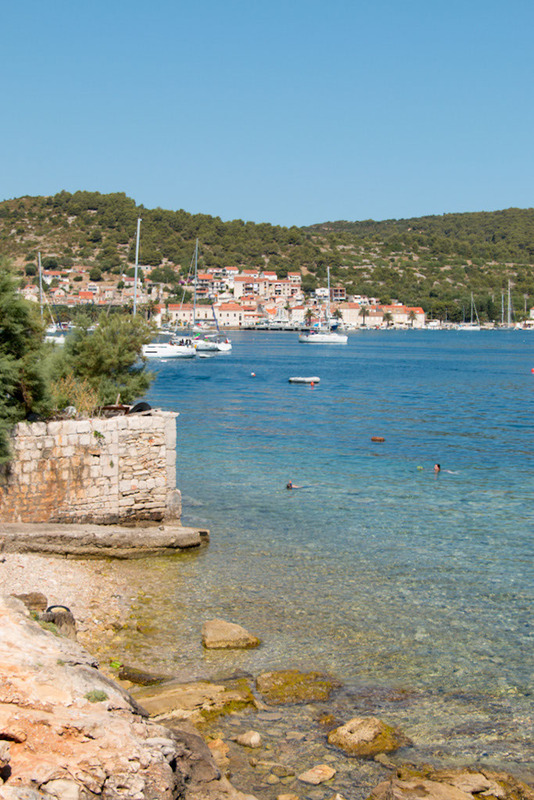 Croatia is just as you’ve described – lazy sunny days and sleepy little towns. Take me back indeed! Totally, thank you for the recommendation. It really was an awesome holiday. The photos don’t nearly do it justice.